On May 1, 1993, the CCTV column Oriental Horizon ( Dong Fang Shi Kong) was formally launched, This groundbreaking program changed the viewing habits and concepts of Chinese TV viewers, focusing on reality, social hot spots, current political news, and life of ordinary people through a serious news perspective. At the same time, Oriental Horizon also led to changes in the TV production system. Adopting the producer responsibility system, making flexible use of funds and staffs, the program greatly improved production efficiency. Living Space (Sheng Huo Kong Jian) is a subprogram of Oriental Horizon, which Lu Wangping briefly managed for a period of time. 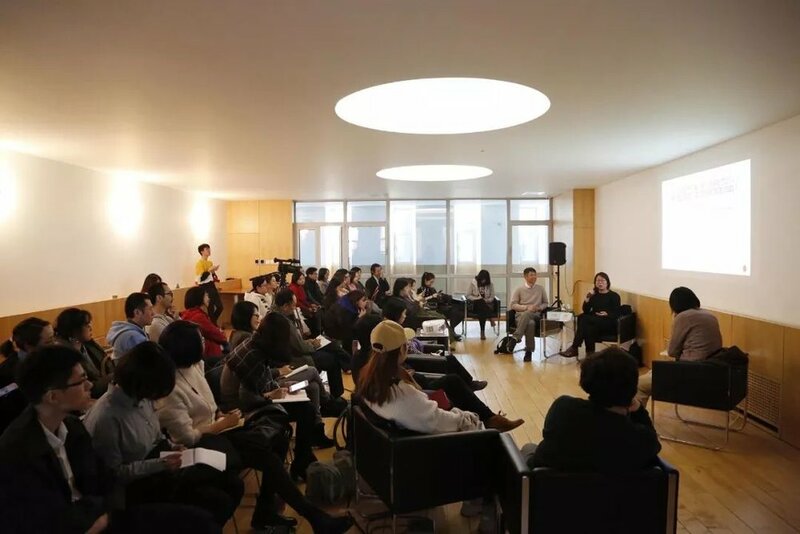 Due to the flexibility of the mechanism, Lu Wangping invited Jiang Yue, an independent documentary director outside the official system, to join him during his tenure. They introduced the documentary shooting and thinking mode into the Chinese news field, which became the prelude of the later well-known column with the opening words “The Story of the People”. In the conversation, Jiang and Lu, two participating artists of The Lonely Spirit, will elaborate on the behind-the-scenes of this program. Lu Wangping, graduated from the Department of Television of Beijing Broadcast Institute with a degree in photography in 1985. Since 1984 till now, he has been working at China Centre Television (CCTV). He participated in the filmingof Bumming in Beijing from 1988 to1990, which is considered as the cornerstone of China’s New Documentary Movement. In 1993, he took part in the pre-production and production progress of CCTV's groundbreaking program Oriental Horizon, and founded one of its subprograms named Living Space. His practices laid a foundation for the later format of Living Space – telling the stories of the normal people by short documentaries. Born in 1962, Jiang Yue graduated from the Department of Literature of National Academy of Chinese Theatre Arts. He then joined Beijing Film Studio. As the apprentice of film director Huang Jianzhong, he became the assistant director of Dragon Year Cops and The Spring Festival. In 1993, he filmed documentary The Other Shore and established the short documentary format for Living Space, a subprogram of CCTV's groundbreaking program Oriental Horizon. Entrusted by BBC, he produced documentary This Happy Life in 2000. In 2006, he finished The Storm which documents the Land Reform Movement in 1950s. How to put real matters or historical events on stage? How does a theatre look like when it mainly utilizes newspaper reports, eyewitness accounts, memories, biographies of ordinary people or other documents of reality? What is the potential of such a theatre- compared to a theatre that is based on classical dramatic literature? What are the limits and dangers of documents? These questions will be touched when acclaimed German Documentary Theatre practitioners Kai Tuchmann, Hans-Werner Kreosinger will present excerpts of their performance work, which is closely associated to the rich tradition of German Documentary Theatre. Hans-Werner Kroesinger and his partner Regine Dura are collaborating since 2000 and in their performances, they confront a large scope of topics: from the history of German colonialism to the impact of social media on societies. Their piece Tripping Stones State Theatre, which was invited to China, investigated the process of anti-Semitic discrimination and the dismissal of left-wing and liberal theatre artists after 1933. Kai Tuchmann mainly utilizes theatre as a space for creating alternative historiographies. His latest work Red, developed in close collaboration with the Chinese artist Wen Hui, discussed the afterlife of Chinese Cultural revolution. In a one-hour long presentation the three artists will elaborate on their practices, and highlight their approach towards aesthetics and politics of documentary theatre. This presentation will be followed by a discussion with the audience. Hans-Werner Kroesinger was born in Bonn in 1962 and lives in Berlin now. He studied drama, theatre and media from 1983 to 1988 with Andrzej Wirth and Hans-Thies Lehmann at the Institute for Applied Theatre Studies of the Justus Liebig University Gießen. In 1987, while he was still a student, Kroesinger began working as an assistant director and dramaturg for Robert Wilson, a position he held for two years. He was involved in Wilson’s productions of Hamletmachine in New York, Salome at the Scala in Milan and The Forest in Berlin. In 1989, he was a member of the creative team for Heiner Müller’s production of Hamlet/Hamletmachine at the Deutsches Theater Berlin, in these days East Berlin. He took part in "documenta X" in Kassel in 1997. Since 1993, he has directed his own productions at prestigious municipal and state-funded theatres, such as the Berliner Ensemble, the Volksbühne Berlin, the Staatstheater Stuttgart, the Bayerisches Staatsschauspiel München and the Maxim Gorki Theater Berlin, as well as on the independent scene, above all at the Hebbel am Ufer (HAU), the Sophiensaele, Radialsystem, the Staatsbank and Podewil in Berlin, Forum Freies Theater (FFT) in Düsseldorf, the Festspielhaus Theatre at Dresden-Hellerau, the Theaterhaus Gessnerallee in Zürich and Zentrum für Kunst und Medientechnologie Karlsruhe ZKM. Since the year 2000 he developes the performances together with the filmmaker and author Regine Dura. In 2007, the director was awarded the Brothers Grimm Prize of the Land of Berlin for his Kindertransporte, a production for children and young people at the Theater an der Parkaue in Berlin. His work with Regine Dura Stolpersteine Staatstheater was for the Staatstheater Karlsruhe was selected in 2016, to showcase at the most important german-speaking theatre festival, Theatertreffen at Berlin. Kai Tuchmann studied directing at the Hochschule für Schauspielkunst “Ernst Busch” (Ernst Busch Academy of Dramatic Arts) in Berlin. After taking his master’s degree in 2006, he directed plays at the Maxim Gorki Theatre, among others. From 2006 to 2008 he was in-house director at the Deutsches Nationaltheater (German National Theatre) in Weimar. From 2008 to 2010, under the aegis of the Goethe-Institut, he worked with civil-society actors to develop plays and performances in the Middle East and North Africa (including productions at the Palestinian National Theatre in Jerusalem and the Iraqi College of Fine Arts in Erbil). The main thrust of Tuchmann’s artistic approach took shape during this period, centering on the use of drama as a means of alternative historiography. In 2010/11 Tuchmann was the leading dramaturge at the Mainfranken Theatre in Würzburg, where he worked with Hans-Werner Kroesinger on a rendition of Aeschylus’ classic tragedy The Suppliants in 2012. Since 2013 Tuchmann has been refining his documentary approach mainly in China, championing artistic exchange between Europa and China. He currently teaches at the Central Drama Academy in Beijing.